The simplicity of the pump head design provides users with the flexibility to connect their own motor or to purchase one from our catalog. 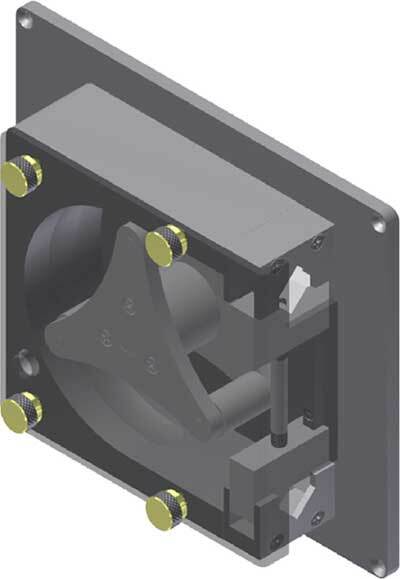 Peristaltic pump designed to move liquids of low to high viscosity from source to destination at user-set speeds according to the motor installed. Flexible tubing, which conveys fluid from source to destination, is squeezed inside the pump head by rotating rollers against a rigid, crescent-shaped occlusion wall. The rollers induce suction in a gently pulsing rhythm. The unique tubing holding subassembly is adjustable to increase pressure, or to decrease pressure for extended tubing life. Each pump head is mounted on a front panel, with the adjustable tubing holder and a safety cover. TUBING WALL THICKNESS: 1/16 in.